Garage Door Repair in Golden Valley, MN is a family owned and operated business that has been fixing and installing overhead doors in the Minneapolis-St. Paul metro area for over 20 years. Our goal is to provide our customers with the perfect blend of quality and service by offering the top brands at competitive prices. Our team of friendly and knowledgeable customer service representatives are available anytime day or night to take your call with no extra charge for nights or weekends. These flexible hours help us get you the service you need for your overhead door anytime you need it. Our team of certified technicians are available to help you with your garage door repairs and installation anytime, rain or shine. We always call ahead about 30 minutes prior to arrival to make sure we know how to get to your home, and we’re always on time. Our company is available to solve all of your overhead door needs anywhere in Hennepin County county, 24 hours a day, 7 days a week. We also provide services for Anoka, Isanti, Ramsey, and Sherburne Counties as well. Our technicians can be at your door and ready to work within an hour from the time you call. It doesn’t matter if you live near Theodore Wirth Golf Course or Medley Hills Park. Years of everyday wear and tear along with exposure to the elements can cause your overhead door to become damaged or broken. Springs become rusted, panels become damaged, and doors come off of their tracks. 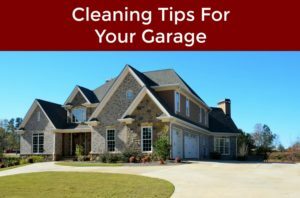 We know how problematic this can be for you and your entire family, and that’s why we want to be the ones you call when you need your garage door repaired. We can get the job done for you quickly and for an affordable price. Plus you can also take advantage of our $75 special for any repairs with the purchase of parts. After your garage door has become broken beyond repair or outdated, it might be time for you to start thinking about having a brand new overhead door installed. When you’re ready for this, our company can help you. We offer custom door options that will help you pair functionality with the style of your home. Our company uses rust resistant hardware and longer lasting springs when we install new garage doors so you know your garage door will last for many years. We also offer a lifetime warranty on all of our services as well. Our main goal is to provide our customers with the best possible customer service. We offer the lowest prices on the industry’s leading equipment, and all of our services are 100% guaranteed. Let us help you with all of your overhead door needs today. Our team serves our customers in the Golden Valley, Minnesota for all of their garage door needs. As a suburb of the Minneapolis-St. Paul area, we serve a wide region of customers and locations. Our team is grateful to be a well-established company within Golden Valley, which is in Hennepin County. We’d be pleased to help you with anything you need when it comes to garage doors. Our team is proud to have this be the town of ours and our customers. You can find us traveling to customers via Interstate 394 and US Highway 169 regularly. We happily serve the residents in and around Golden Valley and Minneapolis. Our team travels to get to your location within an hour and promises to provide the best service for you. In fact, we promise to be at your location within an hour of your call. Golden Valley is a great place to both live and visit. While we work hard to accommodate your garage door needs, feel free to enjoy this great area outside of Minneapolis. Consider checking out the following: Escape MSP and Theodore Park for a few points of interest.